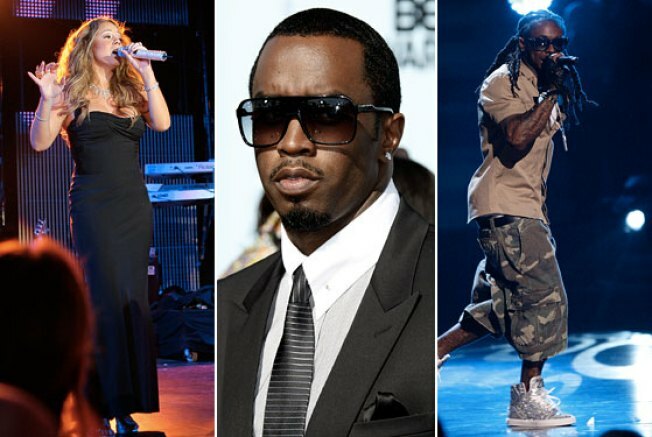 Today, Billboard rounds up news of a few recent album delays, and it turns out some big names in the biz will be staying on the shelf for longer than expected: Mariah Carey’s Memoirs of an Imperfect Angel has been pushed back from August 25 to September 15, while Diddy’s Last Train to Paris and Lil Wayne’s Rebirth are on hold indefinitely. So are these innocuous date shuffles or signs of something more problematic? Diddy's been making a big fuss over Train since February (when he first announced a September 22 release date), promising "a new refreshing side of me." We guess he's just waiting for the right moment to unleash it, then, because we're pretty sure he gets to make the calls on his own albums (he told MTV last week that it's "Jay-Z time and Drake time — enjoy those guys. But the Train is coming, baby"). Either way, the delay's probably irrelevant — who besides the more-talented rappers he pays to ghostwrite his lyrics has ever looked forward to a new Diddy album? The wait on Rebirth — which has more or less been pushed back monthly since its originally announced release date of April 7 — is more troubling. Sure, it’s an experimental “rock” album and boasts a lead single that is arguably the worst thing we’ve ever heard, but Lil Wayne’s still one of the biggest pop stars alive, right? Carter III went platinum in a week — you’d think it be easier for a guy like that to put out an album! The official word is that he's too busy to finish it, but we're guessing Universal is just trying to spare us for as long as possible. Most surprising is Carey's push-back, considering that the build-up seems to be in full force. Idolator speculates that the non-mind-blowing performance of awesome first single “Obsessed” might have something to do with it. But a three-week delay doesn’t necessarily seem that bad to us (could she maybe just be trying to come up with an even more absolutely perfect album title?). Also pushed back is Amerie’s In Love & War (from August 11 to September 8), which is funny, because her last album had a famously epic delay. At this point, Amerie should probably refrain from telling her friends and family about her new albums until they’re actually in stores.